This is just so smart! Brooklyn-based Norman Ibarra has collected used and discarded NYC MetroCards and repurposed them as playing cards by silkscreening them with classic English-style card illustrations that have a NY twist. 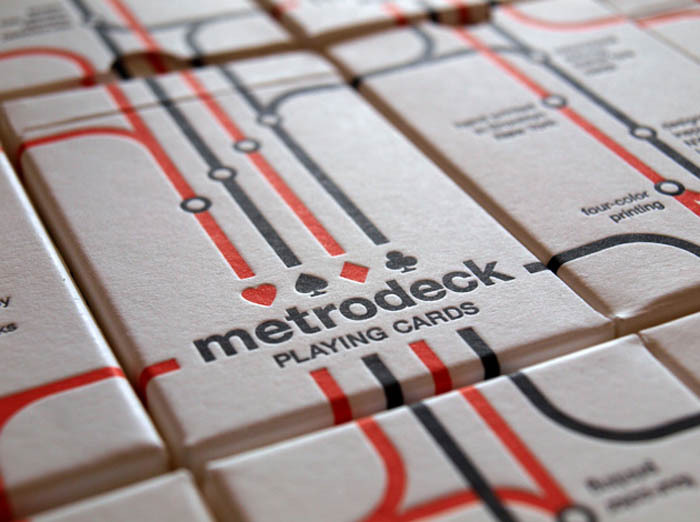 MetroDecks (as they are called) include images inspired by landmarks throughout all boroughs of the city, individually screen printed in four colors of enamel ink. The letterpressed packaging is simply beautiful, as well. More of a collector’s item than actually intended for play, these 54-card decks are definitely not inexpensive, but the amount of work that goes into each deck is impressive. This entry was posted in Art, Fun, Graphic Design, NYC, Pop Culture, Stuff We Like. Bookmark the permalink. WOW. that is so clever! i still have a handful of Metro cards in my wallet right now and always wondered if i should just toss them. thanks for sharing – i’ll have to reblog this on my site. I stumbled upon this post and I just have to share! 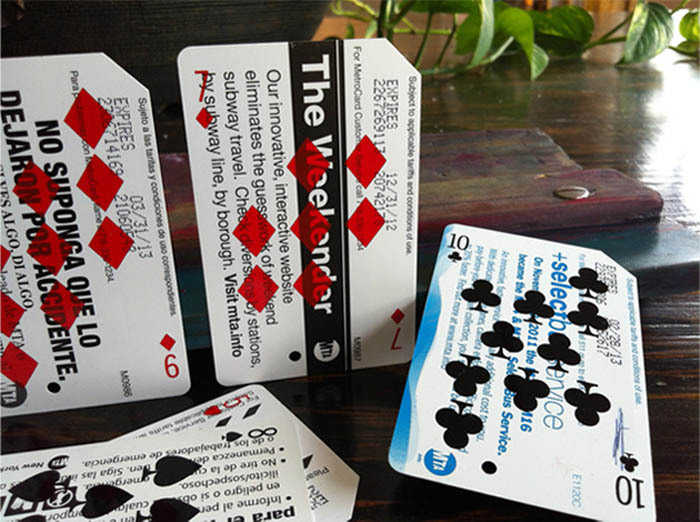 MetroDeck – recycled Metrocards turned playing cards! I have extra Metrocards lying around my house and think this is such a rad way to reuse them. Love the box design. Very clever indeed! I have always loved the idea of upcycling, and this is a great example!